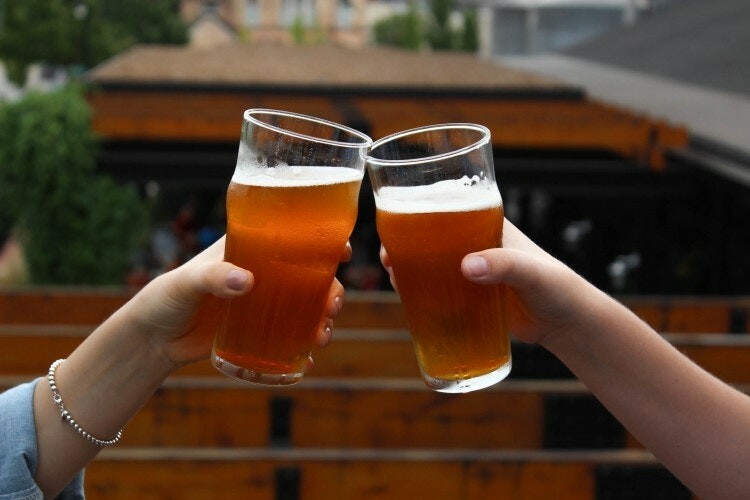 Are you a craft brew buff, a caffeine connoisseur, or all of the above? Then this guide to ArtPrize and some of the greatest breweries and coffee hot spots in our city, also participating as ArtPrize Nine Venues, was created just for you. Click on either page size below to view and print the Brew Lovers' Experience Guide. 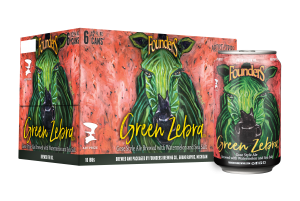 If you’re looking to experience some of the best beer that Beer City USA has to offer, we recommend you start your adventure at Founders Brewing Co.—the masterminds behind Green Zebra, the Official Beer of ArtPrize Nine. Travel to the pastel pink star, where you’ll find yourself surrounded by the seemingly unending depth of creativity that keeps Founders on the cutting edge of the craft beer industry. Then venture to any of six other amazing breweries in the heart of downtown Grand Rapids participating as ArtPrize Venues this fall. You won’t regret it. 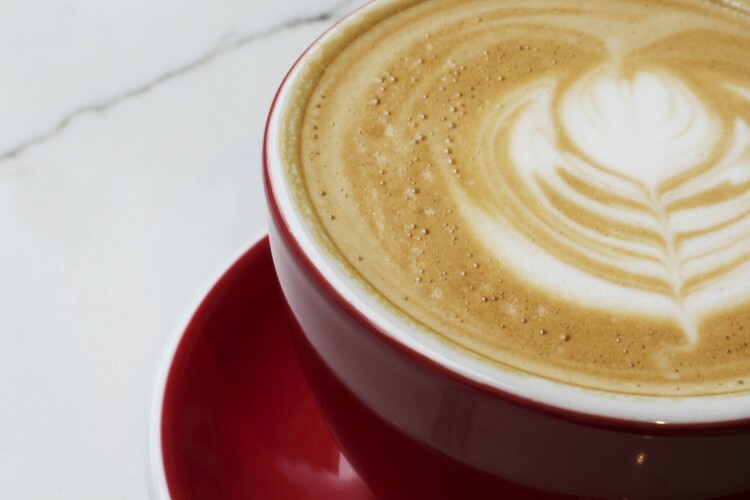 Is coffee more up your alley? Make sure you stop by Ferris Coffee & Nut, the coffee roaster that brings you Brazil Primavera— the Official Coffee of ArtPrize Nine. Find their downtown location, marked with a dark pink star, where you’ll experience coffee sourced and produced in a socially and environmentally responsible way, and then head out to any of five additional ArtPrize Venues with coffee as their specialty. ArtPrize and Founders Brewing Co. joined forces nearly five years ago to bring you unique, experimental, artisanal brews for each annual event—each with a label designed by a local artist. The ArtPrize series lineup of beers has included Inspired Artist, Spectra Trifecta, Mosaic Promise and Pale Joe. Founders exercised its creativity yet again this year with a fifth ArtPrize beer, adding a new style to their lineup. Green Zebra, a gose-style ale brewed with watermelon and sea salt, is subtly sour and a little sweet—a refreshing take on a nearly extinct German style. Grab a pint of the Official Beer of ArtPrize Nine in the Founders taproom and pick up a six-pack of cans, on shelves now. 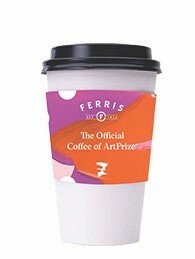 Ferris Coffee’s commitment to making the craft of great coffee approachable to everyone resonates deeply with the ArtPrize team. And so, in 2016 we teamed up and launched a three-year partnership, bringing unique blends of coffee inspired by our annual event design to coffee lovers across the city. Brazil Primavera, the 2017 Official Coffee of ArtPrize, is sourced from a farm that is widely recognized as one of the most sustainable coffee farms in Brazil. Their focus on water reutilization, natural composting and reforestation efforts contributed to the delicious blend. Experience the peanut butter and milk chocolate flavors of Brazil Primavera at both Ferris Coffee locations, and pick up a bag (or 10) to take home from Ferris Coffee, the ArtPrize HUB/HQ presented by Steelcase, or select Meijer stores. Green Zebra can found at many other establishments downtown, be sure to look for the Founders logo in windows around the city. Both Green Zebra and Brazil Primavera can also be purchased at your local Meijer store while supplies last. Your purchase of Green Zebra and Brazil Primavera directly supports ArtPrize, a non-profit 501(c)3 organization. What other reason do you need? Join us at the ArtPrize Studio on September 22 starting at 7 p.m., when we’ll dive into Founders Brewing Co.’s creative process and the evolution of their beer lineup, with Founders’ leadership. Stick around after the discussion and step into the ArtPrize STEAM Village for this one-time only event. The ArtPrize Beer will be flowing along with live beats while you explore virtual reality and robotics activities within the STEAM Village. Founders Brewing Co. and ArtPrize have teamed up to bring you a special edition of the popular Founders Beer Dinner Series. You won't want to miss the Art of Craft Beer Dinner, held in Founders' gorgeous Centennial Room on the evening of Sunday, September 24. Founders has an amazingly talented culinary team that has been wowing people with its deli menu for years, but this is their chance to really strut their stuff. Experience five courses of mouth watering dishes each paired with one of their award winning beers—featuring the ArtPrize Nine Official Beer, Green Zebra—all inspired by the artwork on display in Founders' ArtPrize Nine exhbition. Secure your place at the table. How does it relate to your own life, feelings, or ideas? Does it challenge you? Vote—do you think this work of art is successful? At ArtPrize, your voice counts! If you're 13 or older, you can cast votes in support of your favorite artworks. For the first time ever, in Round 2 of voting, you'll have the chance to consider and vote on the jury's picks and they'll take your picks into consideration as well. Vote using the ArtPrize mobile app -- free for iOS and Android -- or visit any ArtPrize HUB.